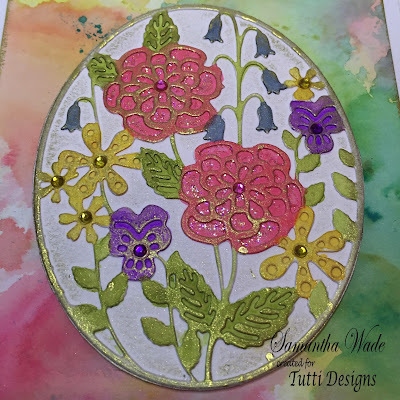 Tutti Designs: A Cheerful Garden Frame. 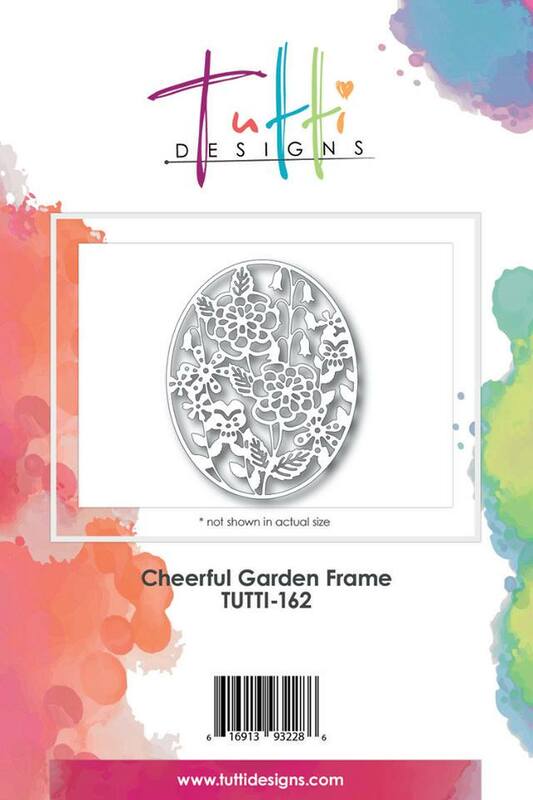 Today is Cheerful Garden Frame, TUTTI-162. This is new die from the September 2016 release. Cut from white smooth card and coloured in with distress inks peeled paint and scattered straw, worn lipstick, seedless preserves and faded jeans. Gold gilding wax around the edge and blended onto the leaves and flowers. Stickles star dust has been added to the flowers and a few gems. Then mounted onto card and cut around the oval. 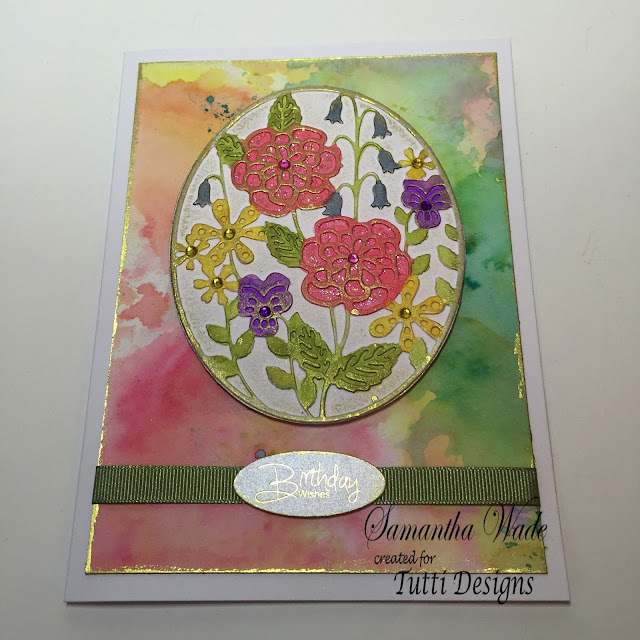 The background has been made from Distress Inks. Glue onto the background which has gold gilding wax around the edges. Then add the green ribbon and sentiment. Glue onto the main card to finish.